If you are looking for a Used Cummins 4BT Engine you’ve come to right place! Used diesel engines are a perfect solution for someone that need a drop in solution at a more economical price point. 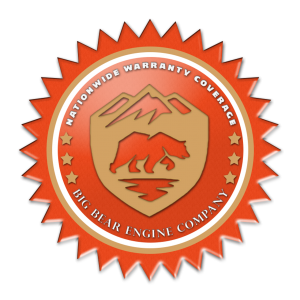 Our background at Big Bear Engine Company is in the remanufactured and new engine business however we do offer a used engines as an alternative for our customers. We are an excellent source for used engines through our propriety truck salvage and industrial partners across the United States. There are 28 partner companies in the network that all aim to serve the needs of customers needing used inventory. Our used Inventory fluctuates daily based on current demand within the network. Currently, we have a plethora of used 4BT Engines, 6BT Engines and 5.9L Engines. We also have a few Used Caterpillar 3306 Engines and ISB 6.7 L Engines. Most used engines come with a 90 day warranty while other older engines have a 30 day warranty on the internal parts such as the block and crankshaft. We also offer remanufactured diesel engines if you are looking for a zero hour rebuild. Other things to consider when researching a used 4BT engine is if the unit has been reconditioned in anyway. Many 4BT and 6BT engine dealers simply pull the unit from the truck and sell it "as is" condition. Others, will remove the rust and oil spots re-prime and paint. If you see a 4BT used engine manufactured in 1991 that looks brand spankin' new I would be weary of what you are actually getting. Some used engine vendors will drop the oil pan or remove the head and replace the bearings and gaskets; most will not though. Reconditioned is not the same as remanufactured. A remanufactured 4BT engine will be rebuilt back to OEM spec with the block, head, pistons, liners, rings, camshaft, crankshaft all brought back to original condition. "Recondition" or "refurbished" is a vague term which simply could mean replacing the injectors, adding a new oil pump or putting that fresh coat of paint on it. We actually wrote a more in-depth article about how to properly research a used, surplus crate or remanufactured 4BT engine. Lastly it is good to know what the terms "core engine" and "core charge" mean. If you are new to the diesel engine industry many places require a core exchange with the purchase of an engine. This means they want your old engine back to use for future rebuilds or core sales. If you do not have a 4BT Core, such in many automotive swaps, they will charge you a core charge on-top of your engine fee. Many customers are confused when the core charge is applied. We do not sell our used 4bt engines with a core charge simply because of this fact with automotive swap buyers. Lastly if you see a used engine tagged as a core know that it is not a running engine. Always ask if the engine turns 360, meaning the crankshaft will turn 360 degrees. Consequently once you get a 6BT or 4BT engine you want to make sure it fits correctly in your vehicle or industrial application. Turbo Mount, Exhaust Manifold, Crossover Tubes, Flywheel/Flywheel Housing and adapter plate bolt patterns are all things to consider when swapping the engine in. When buying a used engine from us you know you are going to get an engine that is drop in ready to get you back to work. We only sell low miles used engines, that have been properly inspected and that have a well-documented history from our own core rebuild vendors. Take a look at this link on how to purchase a used engine for a vehicle or piece of equipment. Know what to ask and what to look out for. You can trust Big Bear to deliver when you need us most.